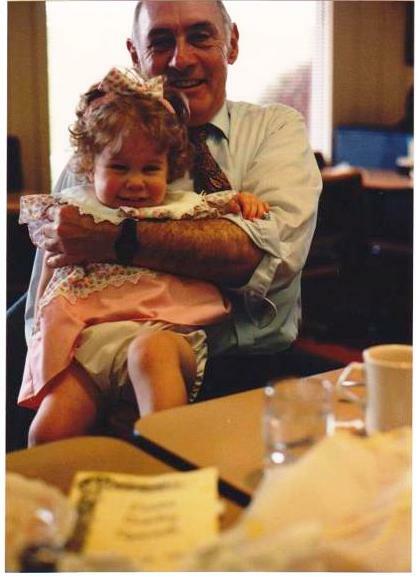 Above: David and Granddaughter Amelia (1991) who finished her M.A. in Science Education in December 2014. I hadn’t intended to write a post today, however I recalled Aunt Marge’s admonition to write even if I didn’t feel like writing, and write about my life, no matter how trivial the events may seem. Many days, it was difficult to write a letter because I was so busy, but she always told me how much she appreciated each letter, so I tried to be a faithful correspondent. I saved many of the letters she sent me over the 70 of her 90 years I knew her, but the Angel and sheep figurines she sent when I was five, disintegrated long ago. Shortly after they arrived when I was four years old, my parents took them away from me (and ruined my fifth birthday) as punishment for my calling the priest who visited my Mom, “Damn Father poo stink.” I still don’t know why I did it, nor do I care. When I was younger, I corresponded with my Godfather Fred, a until after I married. Uncle Fred, a genuine Texas millionaire, visited me when I was 16 and told me he would pay for my college. I could have gone anywhere I wanted, but I did it my way, as stubborn as that red-headed granddaughter of mine. Later, Fred sent me $15 to buy Dale Carnegie’s book, How to Win Friends and Influence People. However, I spent the money on a Ricky Nelson record. Poor Uncle Fred who saw himself as my spiritual guardian, told me I should cross myself when the Devil tempted me. Mostly, I crossed myself to get out of trouble. I also crossed myself after that tonsured priest visited Sunday last. My grandmothers also wrote to me when I was small. Some of those letters are safely stuck in my Baby Book. I don’t look at them often. Mom also pasted the first note I ever wrote to her, in ink, on a Kleenex, “Gon to MS Mac’s.” Mrs. Mac, baked great cookies. My dad, a traveling man, sent hundreds if not thousands of postcards to me from all over the South, and I kept every one of them. In my early teens, I wrote to pen pals, usually girls I met at Girl Scout camp. Later, I wrote letters to boys in service, Terry, Harold, and other former school chums, whose names I have forgotten. For a while I corresponded with a young Canadian soldier named Danny. All we teen girls all had pen pals in the military. Letters to lonely boys serving in some distant land, not always boyfriends, mind you, just lonely boys we knew in high school or met in another way. I kept those letters a long time, but on one move or another, to one post or another, after I married a service man, I chucked them away. Several small packets of letters tied together in ribbons lie stashed in a Memento Box. I don’t recall the senders, though they must have been important to have survived over forty moves. A couple of notes and handkerchiefs are tucked together in my handkerchief sachet. Mom bought one of them in El Paso over 70 years ago, a fine filigree cactus fiber lace handkerchief that reads “Mexico.” Two others are embroidered with fanciful images by each of my grandmothers. 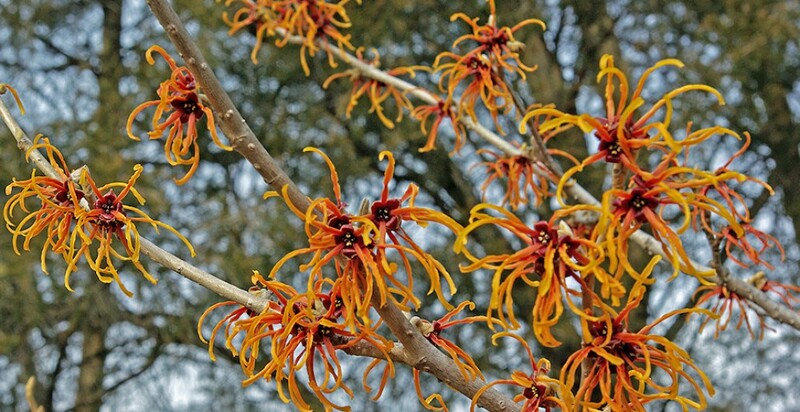 One reads: Remembrance is the sweetest flower that in a garden grows. This entry was posted in Crafts and Art history, Elder Blogger, Family History, Family/Children, Memories, Retirement Living, Women by SchmidleysScribblins. Bookmark the permalink. That’s a sweet picture…isn’t it amazing how quickly they grow up? One of my favorite photos of my granddaughter. Thanks, Ginnie. Now wasn’t she just a beautiful bonnie little girl – I love to see photos of youngsters when they are just beginning to become a handful. Not in a bad way but knowing what they want and not wanting to really do what we want them to. Do I have to sit on Grandpa’s knee ?? I have a friend who still writes ‘real letters’ ( her terminology) to me a few times each year and as much as I find it a chore to answer her by mail (mainly because I know my handwriting has deteriorated) I do so because it makes me realise I’m telling her I treasure her letters as much as she does mine. So much correspondence goes over the internet these we really do forget the touch of paper that used to be produced just for letter writing. Amelia is still a sweet and pretty gal, and vey smart too. As for stationary, yes, I was once an aficionado. I love the scented note paper and my grandmother’s notes had ‘Edna’ at the top. Yes, some of my saved letters are on the ‘air mail’ paper you describe. I wrote many letters that went “par avian” on the backs of birds, no doubt the mechanical sort. This is such a lovely post …well maybe except for dear old Father Stinky poo pants … And especially not lovely that you were punished for saying what you thought. But that was how it was when we were kids. Amazing we survived and are strong women in spite of being trained to be meek and obedient without thought. As far as the lovely part (I got sidetracked there), I well remember having pen pals and writing to elderly relatives. And being wildly excited when I’d get a letter! No matter who it was from. Why thank you Sallie, glad you enjoyed the post. Yes, I probably called him ‘Father Poopy Pants.’ I just remember using ‘cuss’ words and getting my mouth washed out with soap. Curse words were okay for men but not little girls. I was shocked when I heard my MIL use one. Writing letters is a lost art. Those letters from pen pals gave me much joy in my little world. I love the letters I have from family and some little scraps of paper. I have a note my Dad wrote to himself on how to operate the clock radio I got him one year after his old broke. It’s not so much the content but the familiar hand writing that was his alone, too personal for me to toss. Those things are kind of a little piece of people I miss. So true. Both of my parents wrote in my Baby Book. I wish I had saved more of Mom’s letters. Yes, I can keep in touch with granddaughter and friends. The priest probably didn’t understand what I said, but Mom did and she wasn’t happy! And my vocabulary has expanded a bit since then. Plus Mom told Dad he must stop cussing around me. Please view your photo on my blog today. Now most people only email. I told my mom we should just scan her letters and send them to Japan via email. My aunt wrote back that she likes her letters the old fashioned way through snail mail. I can just imagine how precious those postcards from your dad were. Congratulations to Amelia! What an adorable baby she was! Thanks Kay. Amelia plans to begin teaching high school kids next fall. To keep the written words of otheers as a keepsake is heartwarming for each of us who treasures the written word. I love the final quote because it’s spot on. Good for you for keeping these letters. I haven’t kept any of mine. I’m glad I did too!